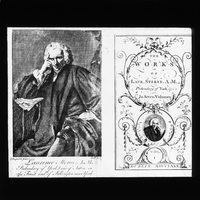 Lantern slide showing the front and title page of Laurence Stern's works. Originally catalogued with the label 'M2 92.' On the slide it shows a drawing of Laurence Stern. 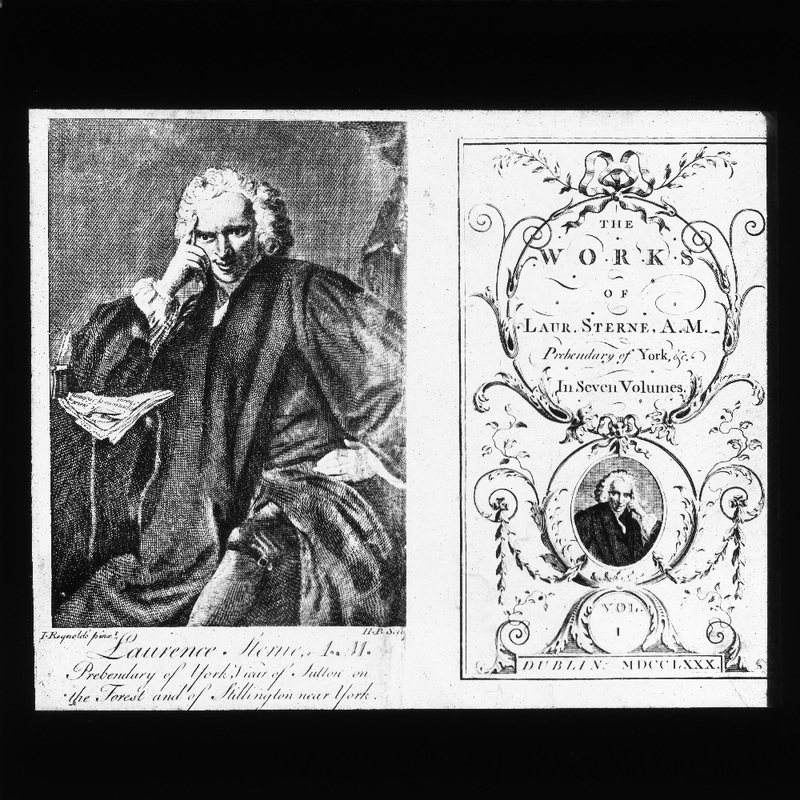 Laura Ryan, “Front and title page of Laurence Stern's works ,” Royal Society of Antiquaries of Ireland, accessed April 23, 2019, http://rsai.locloudhosting.net/items/show/469871.